The NGO Mare Nostrum, with the help of volunteers and educational institutions, identifies and compiles categories of waste present on the beach. The action takes place annualy around the Black Sea Action Day (31st of October). Mainly, human impact is analyzed, emphasizing the numerical inventory of waste present on the beach. Objects made of plastic, paper and cardboard, metal, glass, wood, textiles, medical waste etc, are collected and inventoried. After this activity, a database of the objects inventoried in each category is compiled to keep track of waste found on the beach. 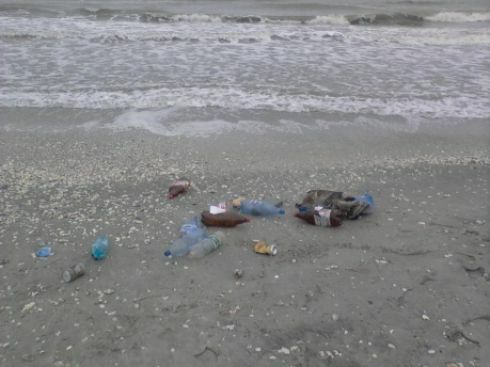 In 2012, a total of 41,605 pieces of waste were collected from the 31 coastal areas monitored. Of this number, 23,569 pieces were plastic waste (57%), 6,527 pieces were paper waste (16%), 5,004 pieces were metal waste (12%), 1,974 pieces were glass waste (5%), and the rest were other types of waste. A decrease in the quantity of waste has been observed in 2012, compared to previous years.